People Badly Need Therapists Who Can Actually Fix Their Ailments By Overcoming The Causes Instead Of Prescribing Drugs & Supplements For Profit, & Mentors To Teach Them How To Live Right, By The Nature Of Their Mind & Body. This investment of establishing a fitness/blood flow exercise, and B.A.10 Autoimmune Disorder Rejuvenation Clinic is designed to bring a medical doctor, a chiropractor, a physical therapist and a specially trained B.A.10 Natural Autoimmune Practitioner together, to give professional guidance for 3 groups of people. (1) The average person who wants to spend time improving themselves physically through fitness, toning, weight loss and, a blood cleansing diet if needed, mentally through learning how to control hormonal release patterns through supervision of thoughts and structuring of goals etc, and spiritually by understanding how our autoimmune system is affected by any uneasiness in conscience, and imbalances in lifestyle, which is how “dis-ease” sets in, to eventually progress into becoming “disease”. — (2) Treating people who are suffering from difficult-to-overcome health issues and or, who are diagnosed with an autoimmune disorder that they have been wrongly told is incurable, of which there are millions in Australia, millions in the USA, millions in the UK and millions in many other countries. (3) Not One Medical, Chiropractic, Naturopathic Or Massage College, Teaches “ANYTHING” About Autoimmune Disorders, Capable Of Helping “MILLIONS” Of Autoimmune Patients From All Over The World, To Overcome Their Suffering. There are “MANY” millions of autoimmune patients not receiving help to overcome their suffering, and, many millions of medical doctors, chiropractic doctors, naturopathic doctors, massage therapists & personal trainers who are carrying out some type of assessment within their present healthcare activities, who have no true understanding of the “REAL” causes of many Rigidity Autoimmune Disorders or how to overcome those real causes, which is “WHY” these many autoimmune patients are not being helped. — When it comes to autoimmune disorders like Parkinson’s disease, MS, Diabetes & COPD etc, the whole healthcare system, medical and natural, is on the wrong track by focusing on maximizing sales of drugs and supplements, and services which don’t help. — This has come about because there are 5 “VERY SIGNIFICANT” causal factors, that exist due to breakdown of the natural functions of the body, which in turn, causes the onset of Rigidity Autoimmune symptoms and disorders, and these breakdown factors “CANNOT BE CORRECTED BY DRUGS AND SUPPLEMENTS”, and these “REAL” causes are being totally ignored. To Teach Existing Practitioners, Therapists, & Personal Trainers, To Do My New Assessment Tests, Will Allow Them To See Causal Flaws Never Seen Before, Which Are Based On These 5 Treatment Secrets That Succeed Where No Other Treatment Can. In order to set this flaw in our healthcare industry right, all that needs to be done is to teach these many practitioners and personal trainers how to add a series of new assessment tests to the assessment test they are already carrying out, to help them see the presently unseen causes of these many Rigidity Autoimmune symptoms and disorders. — The B.A.10 assessment training of these practitioners, therapists and personal trainers can easily be given through a Two-day Online course that can be very effective in qualifying them as B.A.10 Assessment therapists capable of discovering autoimmune breakdown factors that will enable them to write out a referral to send such patients on to a B.A.10 Rejuvenation Clinic for follow-up assessments and specialized treatment. This means, because the many millions of these practitioners, therapists and personal trainers from all over the world, who have no knowledge of the actual causes of rigidity autoimmune symptoms (tremors, numbness, tingling, twitching, vertigo, loss of balance, swollen ankles, bladder incontinence, and sleep deprivation), and rigidity autoimmune disorders such as the 22 that my B.A.10 Program has proven to be effective in treating, and no training on how to overcome these symptoms and disorders, there is a never-ending supply of professional healthcare people available to offer an online in-home training course to, for a cost that they will fully retrieve, by way of a commission received from their very first referral, in sending their first patient on to attend a B.A.10 Rejuvenation Clinic for 7 days of treatment. — This never-ending line of patients starving for an effective treatment that will help them, and the never-ending line of healthcare professionals starving for knowledge that will finally enable them to help these suffering patients, may well be the only investment that can offer a never-ending investment return that does good for people in desperate need. Many autoimmune disorders are “NOT” incurable, but the B.A.10 Program has proven that only the patients themselves are capable of establishing “a cure” and to do so, they need to be supervised through the joint efforts of a medical doctor, a chiropractic doctor, a naturopathic doctor, and a physical therapist/massage therapist, all trained to use the 5 Treatment Secrets, so as to look at the human being from a physical, mental, emotional, “AND” a spiritual point of view. —“NONE” of the medical, chiropractic, naturopathic, massage or personal trainer college courses offer “ANY” training that even comes close to finding and overcoming the causal abnormalities covered in my 5 Treatment Secrets. The Only Cure Can Come From Medical, Chiropractic, & Physiotherapy, Bases On The 5 B.A.10 Treatment Secrets, All Working Together “AT THE SAME TIME”. More Life Mentors, Practitioners & Patients Need To Know About The Brain, The Muscular System, The Endocrine System & The Spine, & How Their Improper Interaction Is What Creates The 22 Different Rigidity Autoimmune Disorders. Which The B.A.10 Program Has Treated Effectively. 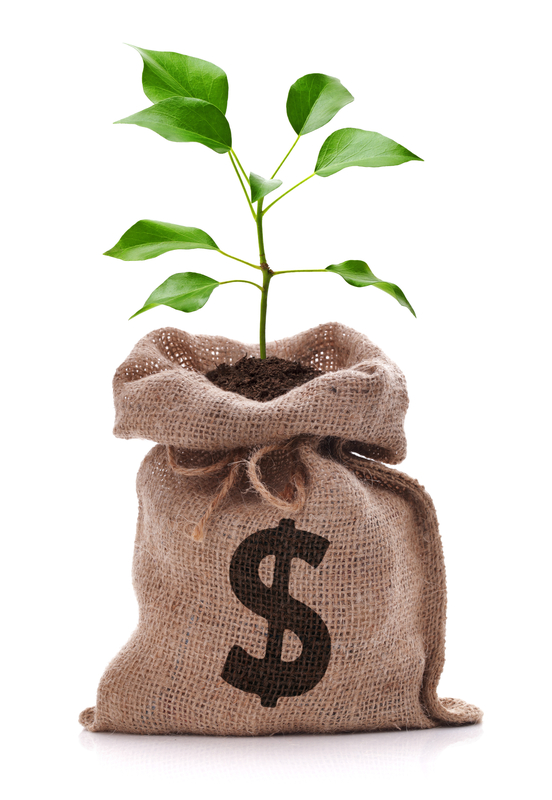 I am looking for an investor (or individual investors, one for each clinic), who have a heart for educating the public in matters of personal development, family management, fitness, weight reduction, spiritual ethics, and how to correct autoimmune health dysfunction, and, to learn how to recognize early Parkinson, MS, Diabetes, IBS, COPD, symptoms etc, even before they actually manifest, so as to instigate early prevention. “MILLIONS” OF PEOPLE ARE LEFT TO SUFFER FROM “THE BIG 4” AUTOIMMUNE DISORDERS: PD, MS, DIABETES & COPD. There are more people diagnosed with PD, MS & Diabetes worldwide (427.3 Million), than the population of the USA, Australia and the UK combined, which totals 414 Million, and the B.A.10 Program is the “ONLY” treatment available to help overcome all 3 of these disorders, plus many more “BECAUSE” it is very different in that it focuses on giving freedom to the mind, the body and the full nervous system. — Research in several countries revealed that nerve suppression causes respiratory disorders. — It is estimated that more than “200 Million” people worldwide, suffer from Chronic Obstructive Pulmonary Disease (COPD), sometimes called Emphysema. Several Aspects Of The B.A.10 Program (Particularly My Nerve Massage Endorsed In A Video Further Down On This Page), Are Very New & Very Unique, & My Discovery On The 5 Causes Of Tremors, & The Success Seen In My Many PD, MS, & Lung Disease “BEFORE” & “AFTER” Success Videos, Is All Absolutely Indisputable By “ANYONE”. — There are 3 key factors to understanding these disorders that “EVERYONE” has been overlooking, for hundreds of years. I Wish To Create Clinics Offering A Chiropractor, A Physical Therapist, A Specially Trained B.A.10 Specialist & A Medical Doctor, All Working Together. I am looking for investors, as well as chiropractors, massage therapists, Physical Therapists and medical doctors who want to broaden their knowledge into understanding more about the brain’s hormonal influence on health, and the development of autoimmune symptoms and disorders from a natural health perspective, and who want to learn how to help immobilized patients walk away from wheelchairs, sometimes in only a matter of days, while assisting patients to overcome the suffering of Parkinson’s disease & 21 other, what medicos call: “Rigidity Autoimmune Disorders”, or what I call: “Brain Stem Disorders“. — In my travels to 9 different countries, I have only seen 2 clinics offering medical doctors, chiropractors and physical therapists working side-by-side, one in Brisbane and one in Texas, but these clinics did not offer the B.A.10 Program to enable them to help the many millions of suffering “rigidity” patients who are being given no answers, and these clinics were thriving beyond belief. I truly believe, these 2 clinics represent the future in healthcare but I also believe, if such clinics offer the B.A.10 Program as well, to give relief to these many millions of badly suffering patients who are presently being left with no answers and no significant help, they will pioneer the way to a new era in healthcare, in a very helpful prosperous manner. I Am Looking For Investors Who Wish To Help These Patients Overcome Their Suffering, But I Also Want Investors Who Want To Do Additional Research To Improve My Work Even More. I have named these rigidity disorders “Brain Stem Disorders” due to findings documented by Dr. James Parkinson on Parkinson’s disease causes, combined with modern-day discoveries in CSF Pressure Disorders, “Cerebellar Motor Dysfunction” and “Chiari Malformation” causing Brain stem “Coning” or “Crowding” in the development of neck pain, headache, loss of balance, tremors, numbness and tingling in arms and legs, optic neuritis, and other symptoms associated with autoimmune disorders. — These principals open up a new field of natural health which is completely unexplored at this time and they present very exciting new horizons in business potential and research opportunities through these clinics, not just in helping patients with what I have already learned to enable me to achieve quick significant success, but with what additional discoveries can be made by adding to my existing research results, while managing one of these clinics. Other than Parkinson’s disease, I have discovered there are 21 other Rigidity Disorders all caused by much the same brain stem and CSF pressure abnormalities that Dr. Parkinson noted as the cause of Parkinson’s disease in 1817, and this includes Diabetes, Irritable Bowel Syndrome (IBS) and Emphysema (COPD), MSA, & ALS, etc, and the reason medical leaders cannot come up with a cure for these disorders, is because they are not quite looking in the right direction. — They are wrongly assuming that Parkinson’s disease is caused by lack of dopamine, when it is caused by vertebral subluxation twisting the brain stem to provoke a blockage at the foreman magnum to hinder CSF circulation, and that “ONE” of the end results can “SOMETIMES” be, reduced dopamine availability. — They are also wrongly assuming, diabetes is caused by a problem in the pancreas (a breakdown of the insulin-producing beta cells of the pancreas), IBS is caused by a problem in the large intestine, and that respiratory disorders are caused by problems in a component of the respiratory system, when “ALL” these conditions “are the end results of brain stem abnormalities”, and are “NOT” the causes. — It is as though our medical experts are being diverted to focus on the body areas where the symptoms appear, instead of searching for the foundation causes in the brain stem and nerves that control the body areas where the symptoms appear, which begin at the brain stem. We “MUST” Live According To The Response Of Our Circadian Clock To Nature, To Remain Energetic, Flexible & Healthy, But Common Habits In Society Discourage This Natural Health-enhancing Behavior. It is recorded in medical journals in various countries, that these disorders are known to be caused by swelling of the brain stem triggering an increase in cerebrospinal fluid pressure within the brain, and or, different types of nerve trauma (usually due to spinal abnormalities), triggering an excess release of the muscle rigidity hormone “noradrenaline” from the Locus Coeruleus in the Pons, provoking abnormal muscle rigidity in muscles relevant to the symptoms experienced. — It is my personal discovery that “ALL” these disorders develop as a direct result of people not living with a knowledge of how our Circadian Clock controls our hormonal release patterns, which has to lose the correct timing, in order for us to develop rigidity autoimmune symptoms and be diagnosed with a rigidity disorder. Each Rigidity Patient Has A Slightly Different “Recipe” Of Causes From The Subjects I Have Listed Below, Which Means Each Patient Requires A Slightly Different Treatment Approach, Something That Practitioners Can “ONLY” Learn By Completing The B.A.10 Training Course For Establishing A B.A.10 Autoimmune Rejuvenation Clinic. Excessive cerebrospinal pressure and or, excessive release of noradrenaline, has been described in medical journals as being responsible for that stiff, slow, robotic walk we see in all advanced Parkinson, MS, MSA, ALS, and Sarcoidosis etc, patients and I propose that these clinics will offer unique treatments designed to correct all these causal dysfunctions. No Health Professionals “Anywhere In The World” Are Trained To Respond To This Brain Stem Swelling, Cerebrospinal Fluid (CSF) Pressure, Nerve Interference, & Circadian Provoked Hormonal Disruptions, Or How To Make Effective Corrections To The Spine & The Nervous System In An Organized Manner, In A Clinical Setting, For The Benefit Of Patients, & This Is “WHY” No Cure Has Been Found For These 22 Disorders. For centuries now, millions of individuals suffering from rigidity autoimmune symptoms and disorders have been left to search for their own solutions to these health problems and therefore, treatment possibilities that cater for these CSF brain stem, nerve hormonal, circadian clock factors, have never been organized and managed, in order for patients to be given the right treatment. — I feel that I am the first practitioner who has ever put a number of treatments together, that cater for the limbic system, the brain stem, the endocrine system, circadian suprachiasmatic influences, the nervous system, the muscular system, and cerebrospinal fluid pressure, and that has added specific blood flow exercises and meditation, while teaching patients nutritional information and how to live life according to the nature of their mind and body. Orthodox Training Of Naturopathic Doctors, Natural Therapists and Chiropractors, Is Void Of Helpful Information About Rigidity Autoimmune Disorders, & These Fitness Rejuvenation Clinics Will Change That. When it comes to rigidity disorders, medical doctors are trained to write prescriptions for drugs and offer surgery that only deals with the symptom-affected body areas, naturopathic doctors and natural therapists are trained to sell an arm full of supplements and tinctures that only deal with the symptom-affected body areas, and chiropractors are trained to correct the spine “IN THE HOPE” that nerves will be set free to unintentionally rectify any autoimmune causal influence involved, and nobody is intentionally setting out to help these rigidity autoimmune patients with any designed plan to help them regain their health & their lives. — In fact, I am reasonably positive, Government Health Department officials totally ignore any research results submitted by any “natural health” organization. Healthcare Professionals Are Trained Not To Think Outside The Orthodox Supplement and Pharmaceutical Sales Box & This Is One Reason Why I Believe These Clinics Will Become Inundated With Inquiries. — The General Public Want Answers About Causes Of Autoimmune Disorders & Patients Want Solutions & They Are Just Not Getting Them. For some reason, everybody in the healthcare system has overlooked the fact that many different symptoms down in the body, can be provoked to develop due to neck problems affecting any number of a wide variety of nerves in the brain stem, so practitioners are fully ignorant of the cause and therefore they just keep throwing these patients files in the “TOO HARD BASKET” while selling them drugs and supplements in an attempt to “TRY” to help. — It is no wonder patients are left out in the cold to suffer without any hope of a happy future, while being left to hopelessly search for their own solutions, while wearing a blindfold. These Clinics Will Offer A Lifestyle Course and A Prevention Program Based On Blood Flow Exercising, Nutritional Awareness, Relaxation, Meditation, Nerve Massage, Stress Management & Circadian Clock Awareness, With Medical Or Chiropractic Journals Supporting Every Major Principal Taught. In the case where success “has” been achieved, by patients who are left to search for their own solutions, the only records available are in books they have written themselves, although many successful patients don’t write books on their victory. 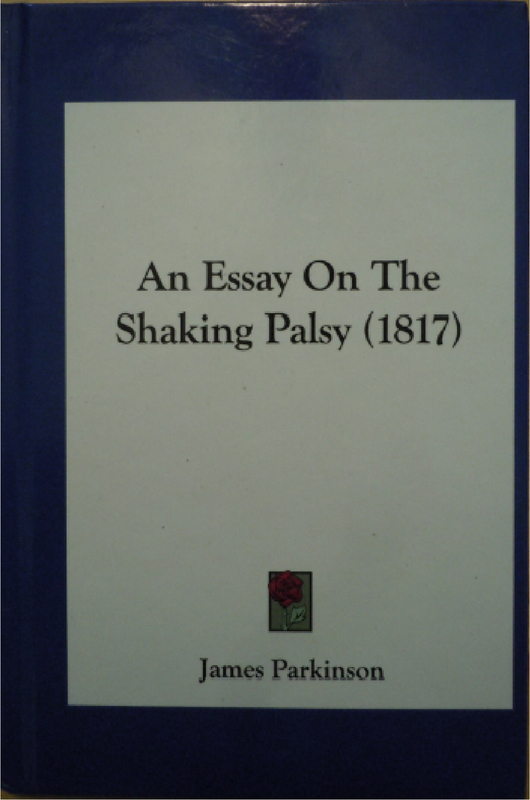 — The reason I am now doing what I do, travelling the world to treat Parkinson and MS patients with this brain stem, hormonal, circadian clock treatment approach, is because I am one of those patients who achieved victory and went on to write books about it for the benefit of others. 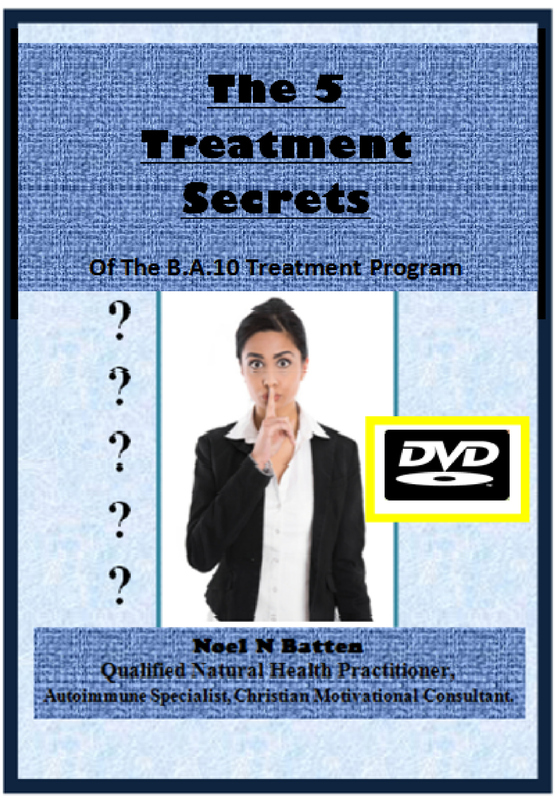 — Believe me, there is a whole world of new and very different information that can actually help these patients regain their lives, and the general public, as well as existing practitioners, need to be educated with this new information through a “B.A.10 LIFESTYLE COURSE”, a “PREVENTION PROGRAM”, and a “PRACTITIONER TRAINING PROGRAM”, which these clinics will offer. My first step to support my investor, or investors, will be to establish “one clinic”, in one of the four locations I favor in the USA, as listed below, and work to maximize the management efficiency and success rate of that clinic, over a 12 month period. — Then, look at duplicating that clinic and it’s management efficiency and success rate, in at least 3 other venues within the USA. IN ANY OF THESE LOCATIONS? Only Existing Qualified Therapists Who Own Their Own Health Or Fitness Business, Who Have Studied Anatomy & Physiology Can Become A B.A.10 Assessment Referral Specialist, To Receive Commissions. This first clinic will hire a full time SEO specialist who will strive to promote the online “Two-day Referral Assessment Course” to already qualified therapists all over the world, who are active in their own health business, in any aspect of healthcare, fitness, weight reduction and personal training. — My B.A.10 Assessment Tests are extremely unique and very revealing of many of the unrealized causes of Rigidity Autoimmune symptoms from tremors and loss of balance, to loss of the sense of hearing, sight, taste and smell, and these tests are not taught anywhere else in the world. — Every step will be taken to ensure these tests remain exclusive to therapists who are excepted into the “B.A.10 Referral System” and to be excepted, already qualified therapists will have to supply accreditation certificates, fill in a Questionnaire on personal business activities, and pass a Skype Visual Interview to answer questions on anatomy and physiology. Patients Will Be Given Many Different Treatments All Under The One Roof. Each clinic will offer every-day services presently being offered by the average medical, chiropractic and naturopathic clinics as well as the average fitness & exercise center, but instead of a patient having to attend four different clinics to acquire these various services, they can become a member of this one “B.A.10 Rejuvenation Clinic” and receive professional instruction and treatment that is not offered by any other practitioners in any area of the health industry. — They will also be able to attend seminars and workshops to learn about all aspects of health, personal development and relationships and how all these facets of life, affect their particular health circumstances. All aspects of life affect our health, so all aspects of life should be covered in any treatment program that deals with rigidity autoimmune symptoms and disorders, which is why practitioners of the future need to learn about the 10 autoimmune subjects that make up the B.A.10 Program. These Clinics Will Offer “TREMENDOUS” Health Advantages By Teaching Patients How To Create Their Own Individual Cure. This combined service on it’s own, will be a tremendous advantage to the many millions of patients experiencing health issues that medical doctors, chiropractors and naturopaths do not have solutions for, as they work separately from each other. — Additional to the combined services of medical, chiropractic and physical therapies, I will be teaching these three practitioners my “Five Treatment Secrets” which are the backbone of the success you see in my “Before” and “After” videos offering proof that the only “cure” available, is the one that will be offered at these “Rejuvenation Clinics” in teaching the patients how they can establish their own cure. Through these clinics we will finally be able to offer an effective treatment for those millions of rigidity autoimmune symptoms and disorders that so many patients are diagnosed with every day of the week, all over the world. “MILLIONS” OF PEOPLE ARE LEFT TO SUFFER FROM PD, MS, DIABETES & COPD ETC,. There are more people diagnosed with PD, MS & Diabetes worldwide (427.3 Million), than the population of the USA, Australia and the UK combined, which totals 414 Million, and the B.A.10 Program is the “ONLY” treatment available to help overcome all 3 of these disorders, plus many more “BECAUSE” it is very different in that it focuses on giving freedom to the mind, the body and the full nervous system. — Research in several countries revealed that nerve suppression causes respiratory disorders. — It is estimated that more than “200 Million” people worldwide, suffer from Chronic Obstructive Pulmonary Disease (COPD). Several Aspects Of The B.A.10 Program (Particularly My Nerve Massage Endorsed In The Video Below), Are Very New & Very Unique, & My Discovery On The 5 Causes Of Tremors, & The Success Seen In My Many PD, MS, & Lung Disease “BEFORE” & “AFTER” Success Videos, Is All Absolutely Indisputable. — There are 3 key factors to understanding these disorders that “EVERYONE” has been overlooking, for hundreds of years. My new unique “nerve massage” is “VERY” different, and “VERY” effective as it deals with removing Negative Muscle Memory, rectifying muscle spasm pulling on the spine and muscle atrophy. — Whilst I do not reveal any of my Five Treatment Secrets in this video, or in my teachings of other massage therapists like Roni Meyer in the video below, I do explain several advanced techniques not included in my secrets. Treatment With A New Approach, For Patients Presently Receiving No Help At All. Online Training Of Therapists Worldwide, To Become Referral Agents. Training Of Autoimmune Assessment Specialists To Give Referrals To Attend These Clinics, & To Run Assessment Desks At Health Shops. Educational Seminars & Workshops For Prevention & Living Life Properly. 3 Day Courses To Educate The Public On Home Health Assessment & Prevention. BE DIVIDED INTO 2 GROUPS. Millions Of People Over 45 Who Are Unfit, With High BP, Muscle Aches & Pains, Fatigue & Bladder Incontinence etc, & Millions Of Patients Diagnosed With What Are Called “Rigidity Autoimmune Disorders“, Are “ALL” Presently Left Unassisted. — “NOBODY” Offers Them “EFFECTIVE” Help. There is an “ENORMOUS” market for specialized clinics that cater for two groups of people over the age of 45, who develop (1) “AGE-RELATED” average health issues, flexibility restrictions, bladder incontinence, poor sleep, & poor vitality issues, which often progress into becoming a Rigidity Disorder, & (2) persons diagnosed with Rigidity Autoimmune Symptoms & Disorders such as Parkinson’s disease, MS, MSA, IBS, COPD (Emphysema), Sarcoidosis lung disease, Diabetes, Essential tremors, and other rigidity autoimmune disorders similar. (3) And there is a third group of people who want to know more about preventative health habits and who wish to learn about the immune system so they can increase vitality and live a good life in mature years. Patients Will Be Encouraged, & Even Motivated, To Work In The Necessary Areas. These clinics will cater for average every-day health problems for persons over 45, such as fitness, weight loss, healthy weight increase for extra-thin people, sleep problems, bladder incontinence that interferes with sleep, food allergies & intolerances, libido issues and blood pressure problems, all being offered in a “B.A.10 Lifestyle Course“, and they will also cater for solutions for overcoming rigidity symptoms of disorders like Parkinson’s disease & those listed above, as a “B.A.10 Autoimmune Treatment Course“. The easiest way to establish these clinics may be to purchase an existing small fitness center & transform it to suit, as all the exercise equipment would already be on site. — The next step would be to train staff to use my ideals to help GROUP 1 (the average person wanting to maintain good health & fitness and attend the specialty seminars and workshops offered), to train suitable staff to use my new & very unique assessment tests & treatment ideals to help GROUP 2 (the Rigidity Autoimmune Patients), and also, a specialized staff member to do S.E.O internet promotions and communicate with GROUP 3 (all therapists in the health industry anywhere in the world in “ANY” facet of health) to promote the Online B.A.10 Autoimmune Assessment Course. — In a class room setting this course will only take 2 days to teach and it will enable therapists to identify several autoimmune breakdown factors not presently being taught in “ANY” medical or natural health colleges and it will give therapists a very unique skill that will enable them to earn a separate income, referring patients on to these clinics for specialized treatment. Learning to carry out my unique B.A.10 Health Assessment tests will enable therapists anywhere in the world, to identify blocked nerves and other abnormalities that cause rigidity symptoms such as tremors, drop foot, stiffness, numbness and tingling, and loss of the sense of smell, taste and hearing, and other symptoms associated with anything from a simple every-day health issue, such as fatigue, dizziness or swollen ankles, to a fully developed rigidity disorder such as Parkinson’s disease. Learning assessment information to be able to write referrals for patients already diagnosed with a rigidity disorder such as PD, MS, MSA, Sarcoidosis, COPD, Diabetes etc, and, for people in the early stages of just experiencing rigidity symptoms that suggest they are staring to develop such a disorder, and referring them on to attend one of these treatment clinics, can literally save lives. Teaching The Importance Of How Goals, Stress Management and Romance Encourage The Release Of Growth Hormone & Dopamine, Will Be An Integral Part Of The Clinic Education Program. The specially trained staff working at these clinics will learn to give talks on prevention, home health, assessment, endocrine function, sleep improvement, how the brain works and ideals of personal development, family interactions and self-confidence, which “ALL” influence health outcome through the hormones of our endocrine system. How the brain works is a subject that no therapists or practitioners are taught to discuss and pass on, to patients they help, and yet it is well-acknowledged in both medical and natural health circles that all Rigidity Autoimmune Disorders are provoked, to some degree, at a psychosomatic level, usually through suppressed loss, grief or relationship breakdown. Practitioners of the future “MUST” learn to teach their clients about the hormones “dopamine” (the hormone of love), “noradrenaline” (the hormone of muscle stiffness), “growth hormone” (the hormone of goal-planning), and “cortisol” (the hormone of depression) — It is also imperative that practitioners of the future teach patients how to use their mind properly, to normalize the release of these hormones for overcoming autoimmune diseases, and, for disease prevention and health correction reasons, as well as for family and relationship harmony. — It really is a medical fact, that without enjoying the emotion of love in a family setting, which is what causes a release of the hormone “dopamine” from a gland in the brain called “the substantia nigra”, our autoimmune system begins to fail, we begin to breathe less and digest less, and our muscles become stiff, rigid and sore. The 5 Treatment Secrets that I have discovered, which have enabled me to help some immobilized patients walk away from wheelchairs in only 3 days, and that have helped me put some patients into remission in only 3 days WHEN NO OTHER HEALTH SERVICE HAVE BEEN ABLE TO OFFER THEM ANY SIGNIFICANT HELP, are comprised of knowledge that is “VERY” different and “VERY” unique, and nobody else in the world is familiar with these ideals. This exclusivity will enable these clinics to offer the Two-day “ONLINE” assessment training course to existing therapists everywhere, (which does not expose the 5 Treatment Secrets), which will help to create hundreds of therapists in the towns and states that surround each of these clinics, to be “Referral Agents” who will refer patients experiencing any signs or symptoms of rigidity autoimmune symptoms or disorders, on, to the closest clinic. — This referral process on it’s own, will enable these fitness, natural therapy, autoimmune rejuvenation clinics to offer services that are very unique and very helpful in “prevention” of autoimmune symptom and disease development, and in “overcoming” autoimmune symptoms and disease development. — The possibilities are limitless, particularly after television advertising is introduced, both for unique product sales, and unique treatment and training services. I Wish To Structure These Rejuvenation Clinics To Create A Franchise Company Offering The Following 4 Services, With A Need For Two Practitioners With Two Types Of In-house Training. (1) A Stress-management Service To Educate The Public On Exercise, Diet, Sleep Improvement & Family Interactions. (2) Specialized “Muscular-spinal-nerve” Assessments For Revealing The Causes Of Autoimmune Symptoms & Disorders, & For Teaching Prevention Of Autoimmune Symptoms & Disorders. (3) Specialized Treatment Carried Out By A Specially Trained Practitioner Capable Of Helping Patients Overcome Autoimmune Symptoms Like Tremors, Fatigue, Muscle Stiffness & Numbness, Sleep Disorders & Bladder Incontinence etc, & the 22 Rigidity Autoimmune Disorders Proven To Respond To The B.A.10 Program & 9 That I Have Had Repeated Success With, & (4) Establishing A 2 Day “ONLINE” Autoimmune Assessment Training Course To Offer To All Practitioners Already Active In The Health System ANYWHERE IN THE WORLD, Medical Or Natural, so they can refer patients on to these clinics for treatment. I Discovered Many Significant Aspects On The Causes Of These 22 Disorders, & Unique Ways To Overcome Them Which Are Based On Scripture From The Bible, & As Far As I Can See “NOBODY” Else Has Discovered These New Ideals. Due to me specializing in treating only rigidity autoimmune patients since 2004, & I chose to specialize in these rigidity disorders because there is no risk for practitioners involved in treating them as they are “MUSCULAR” disorders, which have no dangerous influence on the heart, like some other diseases do. I discovered that all symptoms of these disorders, are listed on various medical websites as being all the same, none of these disorders have an official medical test to prove these disorders even exist, let alone if a person actually has one of them causing their symptoms, &, I also discovered that “ALL” these symptoms are caused by muscular-skeletal, nerve-hormonal abnormalities that can, as my success videos prove, often be corrected in only a matter of days. — The “QUICK” success results I am getting, are sometimes quite astounding. This video below, is a small portion of my 1 hour 7 minute “BREAKTHROUGH DISCOVERY” video which can be seen on my first “TREATMENT” web page. — This video shows my comparisons between back muscle & spinal distortions of 10 patients diagnosed with 6 different rigidity disorders, who all had the same symptoms. — I also quote symptoms from a number of medical & chiropractic websites which support my claim that these disorders are all the same, & their symptoms are all caused by muscular-skeletal & nerve-hormonal abnormalities which can, with my new assessment & treatment approach, often be overcome in only a matter of days. I Discovered 5 Facts On The Causes and The Best Treatment For, A Group Of Disorders Called “Muscular Rigidity Autoimmune Disorders” and They Are So Effective They Can Revolutionize The Health Industry. The healing power gained from this new approach, is absolutely amazing, sometimes enabling immobilized Parkinson and MS patients to be able to walk away from wheelchairs in only a matter of days, and if you have an interest in Christianity, by using this link: – you can see how the 10 steps of treatment used, come from the bible. — Several videos below supply proof of how quickly these 10 steps can give some patients amazingly quick success. — All practitioners in both the medical and the natural fields of health, are missing 5 aspects of health and healing, which is what is causing them to be blinded from knowing what they need to know, to overcome Parkinson’s disease, MS, Diabetes, Emphysema, COPD and many other disorders they are wrongly trained to believe are incurable. Too Much Study Can So Easily Hold A Good Person Back. I have already been interviewed by officials at the “Life Chiropractic University” in Marietta Georgia in the USA, who had been following my work for several years before we met, and it is my opinion, they only invited me to an executive meeting, to try to copy my Five-day Treatment Program for Parkinson’s disease and MS, for their own use. Unfortunately for them, no matter how many patients they treated, they could not get any real success “because” they did not know my 5 Treatment Secrets. — I know this because I had two patients come to me after attending the Life Chiropractic Five-day Program for Parkinson’s disease, who had no success, and after asking them to explain the Life Treatment Program headed by Dr. Michael Hall DC, a neurological chiropractor, I saw that he was not using my 5 Treatment Secrets. — A high education is a great asset in this world but sometimes it can actually hold you back, because in order to see what I saw, to create my 5 Treatment Secrets, I had to step way out of the realm of orthodox health thinking, and most highly educated practitioners like Dr. Hall, have often become far too advanced in their studies to be able to do this. Other chiropractors & even massage therapists have tried to copy my new approach over the years, failing at every turn, “because” they were not familiar with my 5 Unique Treatment Secrets responsible for the amazing success you see in my “before” and “after” videos. — One chiropractor in Colorado who tried to copy my Five-day Treatment Program had failed to meet claims she was advertising worldwide, in being able to overcome Parkinson’s disease and MS, to such an extent that she was banned from being allowed to run a chiropractic business in Colorado, and it was all because she did not know my 5 Treatment Secrets. — Since the moment I discovered these unique secrets, I have protected them from being copied and distorted so as to be “used” just for making profit, with little emphasis on actually helping patients overcome their suffering. This New Approach To Understanding and Treating Rigidity Autoimmune Disorders, Is So Different and Unique, It Can Be Likened To The Invention Of The Wheel, and It Is So Helpful, It Can Give Relief To Some Suffering Patients “IN ONLY 10 MINUTES” By Giving Freedom To Symptom-provoking Nerves. The “ONLY” Way To Help These Patients Is For Medical Doctors, Chiropractors and Physical Therapists To Work Together Using The Unique B.A.10 Treatment Program, To Do Certain Medical and Chiropractic Treatments “TOGETHER“, and Train “ALL” Therapists In The Health Industry To Do A New Type Of Assessment, So As To Become Referral Agents. Over my many years of working as a natural practitioner, I discovered the reason, neither the medical nor the natural health professions are able to offer solutions for “ANY“ of these rigidity autoimmune health problems, classing them all, incurable, is that autoimmune symptoms and disorders are caused by “combined“ abnormalities in the skeletal frame, the nervous system and, in the endocrine system, particularly relating to the muscle stiffness hormone “noradrenaline”, and these 3 subjects “in relation to autoimmune symptoms and disorders“, are not taught to “ANY“ medical practitioners, nurses, physical therapists, chiropractors, naturopaths, natural therapists or personal trainers. “All” Practitioners Need To Know How To Palpate The Spine, and How To Correct A Twisted Pelvis and An Atlas Subluxation. It is for these reasons listed above, that my B.A.10 Program teachings are badly needed both in the medical and in the natural health industries, and why the Two-day Assessment Referral Course in particular, will be a well-attended course, for “YOU” to offer to the industry, through your medical or chiropractic business. — Practitioners of the future, need to know how to correct a spinal curvature, a spinal kink, loss of lordosis, and degenerative discs, and know how to realign the C1 vertebra and a twisted pelvis without calling on a chiropractor, as the B.A.10 Program promotes.) L/C To Learn About The B.A.10 Program. Present teachings available at naturopathic, natural therapy, massage, and personal trainer colleges aren’t even coming close to teaching what needs to be taught, to help practitioners and therapists to identify autoimmune breakdown problems, let alone, how to correct them. — I believe, the first organization to take on the B.A.10 Program, will jump ahead of every other health organization on the planet in offering principals that can actually help many patients solve health problems that are presently being avoided because they are “unknown territory”, and wrongly considered incurable. — They are “MUCH” easier to avoid, than to try to treat, because false reasoning is being taught to therapists and practitioners during accreditation training, but with the advent of the internet, all that suffering-supportive deception is about to come to a sudden halt, whether pharmaceutical and medical leaders like it or not. — With the internet, even if somebody shoots at the messenger, the message remains up in the system, with many internet supporters promoting it. 87.670 Massage Therapists, Just In Georgia Alone. Earn Between 2 and 4 Million Dollars In 2 Years. Remember, this is only the number of massage therapists “IN ONE OF THE 50 STATES THAT COMPRISE THE USA”. — THIS IS ALSO ONLY ONE PROFESSION of 12 health professions that the Two-day Referral Course can be promoted to, and I believe, with good promotions, there could be more than “One Million” health workers do the “Two-day Online Assessment Course“, out of those 12 groups. — At a fee of $250-00 (including annual membership for shared knowledge and testimonies), this would generate very healthy investment returns whilst at the same time, help many suffering patients overcome their suffering. The Natural Health Profession Is Screaming Out For Nerve, Hormonal & Skeletal Teachings. Chiropractors are the only practitioners working with the skeletal frame and as a result, they do solve some autoimmune health problems but usually, only by accident, as successful autoimmune treatments like the B.A.10 Program, and, autoimmune hormonal influences, are not taught in chiropractic colleges. 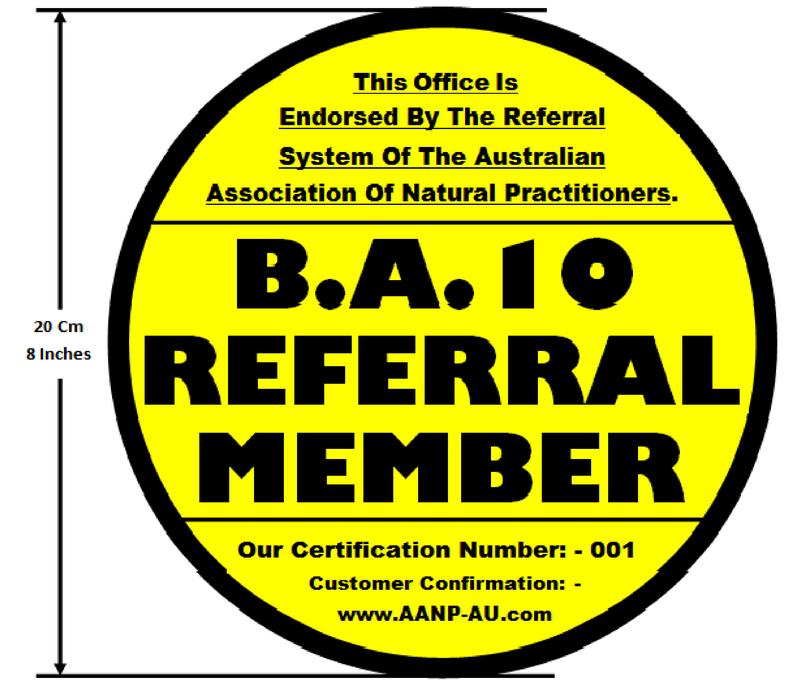 — Chiropractors don’t get long-term results over autoimmune disorders anyhow because they don’t work with specific nerves and hormones in relation to autoimmune breakdown and there is still a lot they don’t do with the spine, which I will be teaching in the 4 week “B.A.10 Natural Autoimmune Practitioner’s Training Course” I am also offering. Many People Become Disappointed With Chiropractic Because It Is Incomplete. Many people go to chiropractors two or three times, but never return, as they only experience “temporary” relief “because” chiropractors don’t work with nerves and hormones as well as doing their chiropractic. — This means, because there are problems in the spine that the vast majority of chiropractors don’t address, such as curvature, loss of lordosis, kyphosis, Degenerative Disc Disease (DDD) and more, symptoms caused, are not overcome and patient disappointment sets in. — The vast majority of chiropractors also don’t believe that the debilitating influences of spinal curvature, loss of lordosis, kyphosis, and Degenerative Disc Disease (DDD) can’t be stopped, “BUT IT CAN“ and I want to teach chiropractors this additional complementary knowledge. Chiropractic Needs Complementary Natural Therapies (The B.A.10 Program), To Make It Complete. Chiropractic without this ancillary complementary B.A.10 Treatment: (stress management, peace of mind therapy, nerve massage, removal of negative muscle memory that causes repetitive subluxations, posture improvement, correction of spinal curvature and kinks, disc regenerative therapy, and hormonal balancing), is completely useless when it comes to overcoming rigidity autoimmune symptoms, and rigidity disorders like PD, MS, Diabetes, Emphysema and IBS etc,. A chiropractor, as well as a medical doctor told my client Mr Curt Kirkley (video below) that he would never walk normally again because of the degeneration he had in his cervical spine, and chiropractic adjustment on it’s own, without my complementary B.A.10 treatment, could not help him in a month of Sundays no matter what chiropractic method was used. 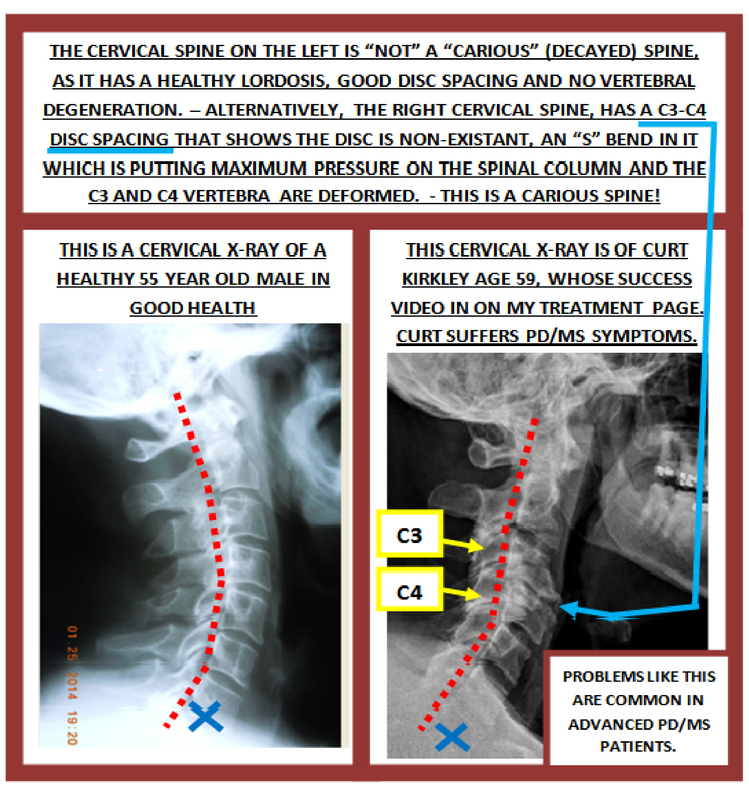 — Look closely at the photo below, of an X-ray comparison between a healthy cervical spine, and Curt’s Degenerative Disc Disease cervical spine which was suppressing cervical nerves to cause his walking problems. My Investment Proposal Is To Establish A Two-day Assessment Course, & A 4 Week Treatment Course On Nerves, hormones & The Spine, Which Is How I Achieve The Success Seen In My Videos. Considering there are millions of medical doctors, nurses, chiropractors, physical therapists, naturopaths, massage therapists, and personal trainers etc, in the USA alone, who are not trained to palpate specific nerves to find nerve suppression responsible for autoimmune symptoms, or to overcome spinal curvature and kinks, and stimulate regeneration of degenerative discs, or to be able to palpate the spine for abnormalities and check the pelvic bone (Ilium) to know if a person has a twisted pelvis, “and know how these abnormalities can influence autoimmune disorder to develop“, there are millions of people needing, and wanting this knowledge. — Many of us in the industry have assumed for many, many years: – “there has got to be more information we can learn to overcome these debilitating disorders such as Parkinson’s disease, MS, Diabetes, Emphysema, IBS, etc,” and I have to tell you, this “MORE INFORMATION” is the B.A.10 Program.